Rt# 33E to Clay Bottom School To Cotton Patch Rd. to Crisp Landing Rd. I kept trying to get a clear shot of this Sparrow and ended up with the abstract view of it. 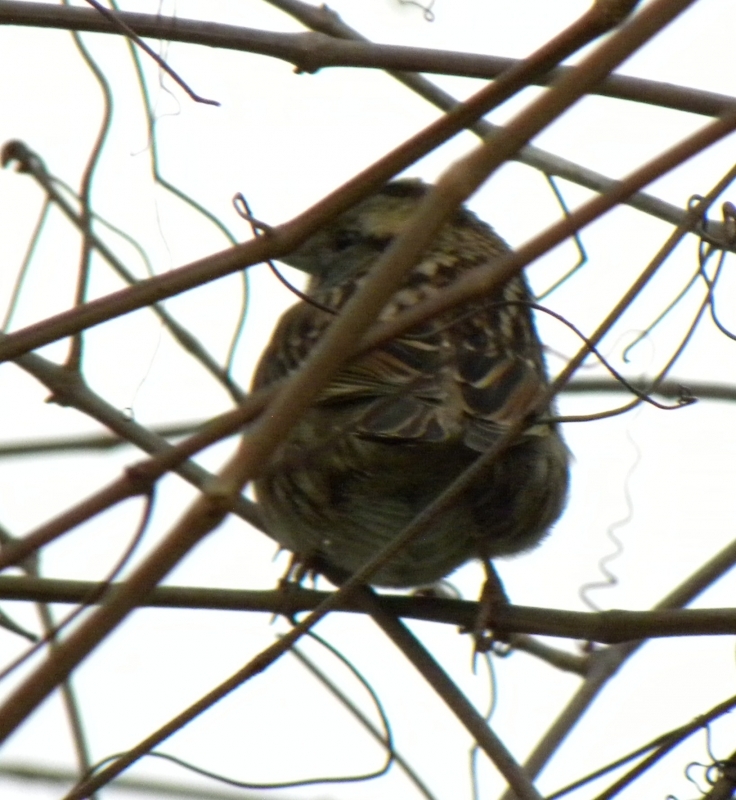 This little Sparrow thought he was completly hidden in the bare branches of these tree limbs.